Under #YCHOperations, the #Saudi-led Coalition has delivered relief to over 350,000 aid beneficiaries in #Yemen in two weeks. “1. The European Union salutes the positive conclusion of the National Dialogue Conference (NDC) and commends the work and collaborative spirit of its delegates and the role played by President Hadi. The National Dialogue has set an example in the region of an inclusive consultation process open to all and aimed at responding to the aspirations of the people. This has closed an essential phase in Yemen’s transition, implemented on the basis of the 2011 Gulf Cooperation Council Initiative. 2. The country now has to focus on the subsequent steps of the constituent phase, which includes drafting a new constitution which preserves the unity, sovereignty, independence, and territorial integrity of Yemen, implementing the NDC outcomes, timely organisation of a Constitutional referendum and general elections conducted in a transparent and credible way. Political stability will be crucial to tackle the numerous urgent challenges with which Yemen is confronted. This will require a Yemeni led process driven by determination, engagement and cooperation from all actors. The EU reaffirms its commitment to accompany and support Yemen in this endeavour and condemns any acts aimed at undermining state institutions and the transition process. 3. 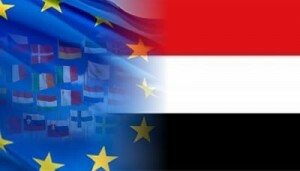 The EU reiterates its growing concern about the deteriorating security situation and condemns in the strongest terms the recent wave of violence and terrorist attacks, including the attack in Sana’a on 5 December during which 52 people, among those two German development aid workers, were killed and other targeted killings of civilians. 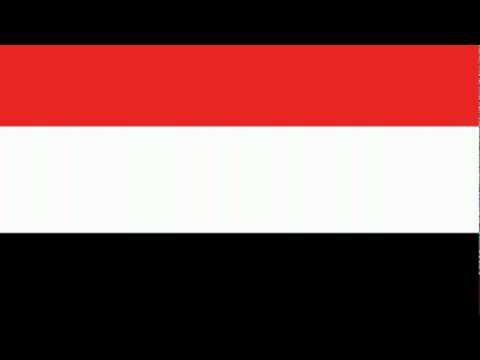 The EU calls on the Yemeni government to thoroughly investigate these incidents. The EU continues to be concerned about the increasing number of kidnappings and attempted kidnappings in Yemen, including to elicit ransom payments to strengthen terrorist groups. The EU reiterates the need for compliance with international law when combating terrorism. 4. The EU considers security an essential prerequisite for the success of the transition period and the socio-economic development of Yemen. It is therefore crucial to progress urgently with the thorough-going reform of the security sector, following international best practices in full respect of human rights and the rule of law. The reform should include increased presence of state security forces in the regions and enhanced cooperation with local communities. 5. The EU recalls its concern about the slow pace of economic recovery and urges the Government of Yemen, with the assistance of the international community, to undertake much needed reforms. Improvement of public finance management, fight against corruption and reform of the public administration, are all essential measures to allow economic recovery and to improve the living conditions of the Yemeni people. Urgent action on fuel subsidy reform particularly, is required to improve fiscal sustainability and increase spending on growth, social protection, and basic services. The EU calls on the Government of Yemen to conclude swiftly an agreement with the International Monetary Fund and to advance the implementation of internationally pledged support. 6. The EU remains deeply concerned that more than half of the population of Yemen is affected by the humanitarian crises and in need of some form of assistance. Joint efforts are necessary to battle acute malnutrition which affects 1 million children under the age of five. The situation has recently deteriorated in northern and southern regions affected by clashes between armed groups and hosting an internally displaced vulnerable population. The EU urges all parties to cooperate to protect civilians to allow immediate and unimpeded humanitarian access. The EU, as one of the main providers of humanitarian assistance to Yemen, welcomes the new Strategic Response Plan of the UN and partners in Yemen to respond to the widespread humanitarian needs and urges donors to fund projects in line with the priorities therein. 7. The EU calls on Yemen to implement the NDC recommendations on rights and freedoms including protecting the rights of women and children in particular reinstating legislation setting a minimum age for marriage and to end the use and recruitment of children by Yemeni Government forces by signing and implementing an action plan to this effect.